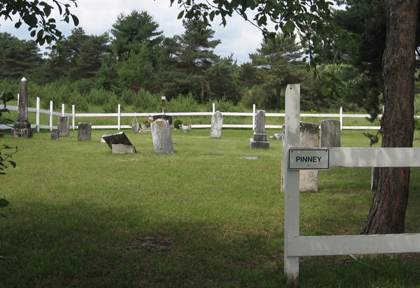 Pinney Cemetery, located on County Rd 23, about 0.5 miles from the Pitcairn-Edwards town line. The cemetery is back from the road on the left-hand side between a barn and a house. It is surrounded by a white fence.